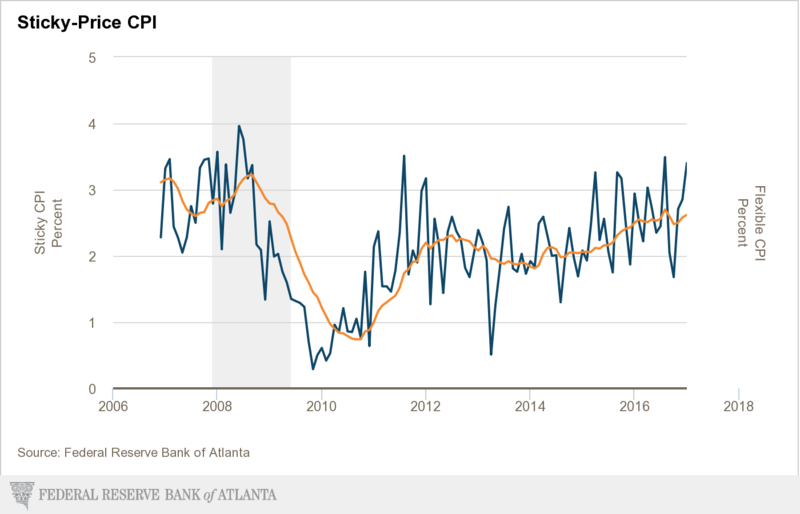 Now the BIG problem for the FED is that after this much easy money having been slushed around for such a long time, many are ill equipped to step into a new (old) world with nominally higher interest rates. 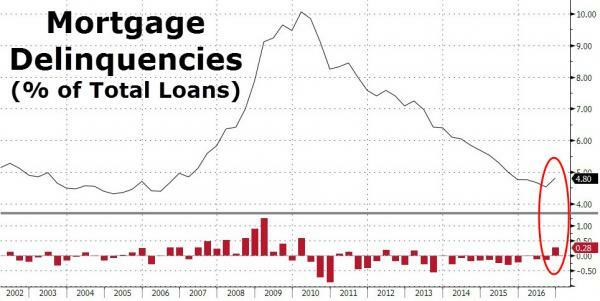 Companies, institutions and individuals have been on an absolute borrowing binge since the great recession. So what happens when finally rates starts to rise as inflation picks up…? As you can see, 30 year mortgage rates have spiked from 4.50% to about 6.00% in a relatively short amount of time. 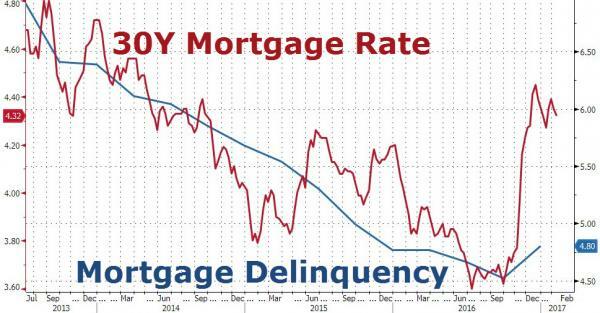 This has led to the first rise in delinquencies since 2013. What goes up, must come down (and vice versa). Imagine what would happen if and when inflation really picks up and investors would demand positive real rates of return on fixed income, in a world where global debt/gdp has never been higher and populations, states and companies have are leveraged to the hilt… Then we will be talking about solvency issues from top to bottom, which will probably fuel inflation even more in a “flight to real assets” reaction. In today’s environment I would not want to be in fixed income or deep into debt.